A healthy conflict between the Project Manager and the Product Owner creates a build-in system of checks and balances that protect projects from getting hijacked by single-minded agendas. In our experience, when these two roles are performed by a single person, that individual is likely to be much stronger in one area than the other. It is also likely that one role will get more focus than the other. The product owner tends to be motivated by the need to create the best product. The temptation, sometimes, is to want to create the perfect product, no matter how much it costs or how long it takes. This results in scope creep and budget overruns. On the other hand, the project manager tends to be motivated by the need to deliver the project on time and on budget. When taken to extremes, the outcome may be a product that nobody wants to use. These “needs” shape the agendas and interests of each role and determine where the individual will turn their day-to-day focus. This does not mean that the Product Owner does not care about the budget or the Project Manager does not care about product qualify. Left to our own devices, we tend to operate from our default settings. Resist the temptation to wear both hats at the same time. Create a healthy environment where ideas are vetted and prioritized by strong and passionate individuals who are willing to fight for their positions. As always, if you have any comments, questions, concerns, or rants, – or you just want to say hi – please feel free to leave a comment below. While it is ideal for project manager and product owner roles to be performed by different people, in many small projects the customer just cannot afford to do so. I think that it depends on project complexity and project domain. Thank you for your comment. I agree with you that for small projects it may be the case that the project manager or product owner has to play both roles. 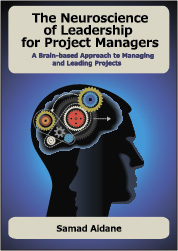 But I only recommend this for low risk and low complexity project, where the cost of role conflict is not too high. Looking forward to reading your blog. Thanks again.